The state government would intensify the JE and AES immunisation programme with the help of the Bill and Melinda Gates Foundation and an MoU will be signed for the purpose soon, Mr Adityanath said in an statement. 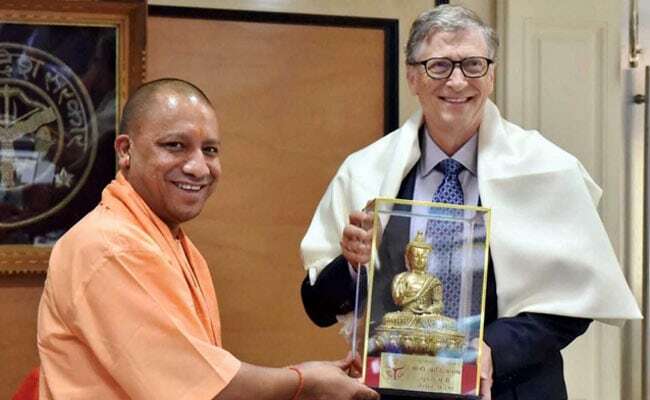 Lucknow: Microsoft founder Bill Gates on Friday met Uttar Pradesh Chief Minister Yogi Adityanath and discussed with him ways to intensify the immunisation programme against Japanese Encephalitis (JE) and Acute Encephalitis Syndrome (AES). The chief minister met Mr Gates, co-chair and trustee of the Bill and Melinda Gates Foundation, at the Shastri Bhawan here. 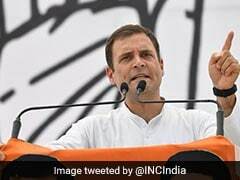 "The Uttar Pradesh government will also seek technical help from the foundation on mother and child health, and also in programmes related to agricultural and other sectors for the next five years," he said. The chief minister apprised Mr Gates about the efforts of the government to eliminate prevalent vector borne diseases in the state. Mr Gates said that his organisation would like to work and help the state in controlling vector borne diseases and improve sanitation, solid waste management and agriculture production techniques, an official statement said. It said the foundation would also help the state in mother and child nutrition programmes. He said his organisation had held talks with the Indian Medical Research Council for establishing JE and AES monitoring centre at the BRD Medical College in Gorakhpur and offered services in controlling diseases such as filaria, diarrhoea and tuberculosis, the statement said. Chief Secretary Rajive Kumar said that after going through the department-wise priorities, an MoU will be signed with the foundation soon. He also informed the Microsoft founder that the state government recently organised a successful vaccination programme to counter vector borne diseases. The programme has covered over 92 lakh children between May 25 and June 11 this year, the chief secretary said. Eliminating the menace of JE and AES is one of the top priorities of the Uttar Pradesh government, he said, adding that the state-run BRD Medical College has been on the forefront of this mission. The chief minister was informed by Gates that the foundation has a expertise in sewage treatment solutions and they were working on various projects in other states and would also like to work in this area in Uttar Pradesh to treat municipal wastes and help clean rivers, the statement said.